An Interracial Romantic Suspense Novella. 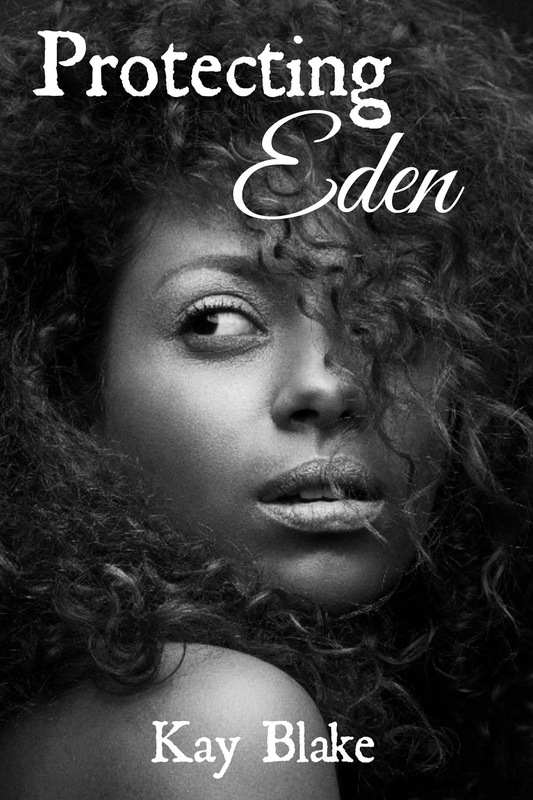 Eden has always taken care of herself. She didn’t need or accept any help from anyone. It’s always been that way. She finally thought her life was back on track until her boss was murdered in front of her. After ending up in the hospital and finding out that the ones who killed her boss were still at large, Eden is sure that her best bet would be to get out of the city and fast. Steven has been living his life one day at a time, battling the demons from his past. When his old army buddy calls and asks for a favor, he is hesitant. 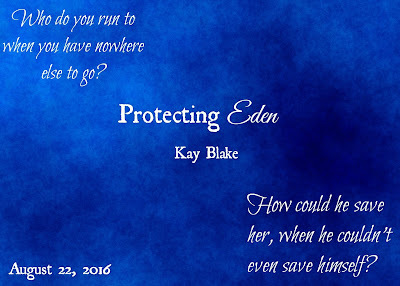 Needing the money, begrudgingly he takes the job which requires that he keeps Eden safe. 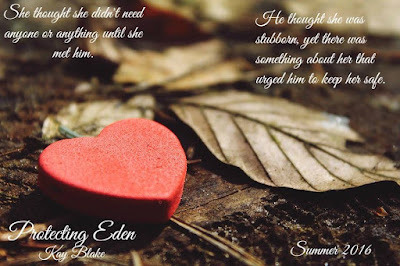 With Eden being headstrong, and Steven worried that he may not be the right man for the job, they can’t deny that they are attracted to each other. 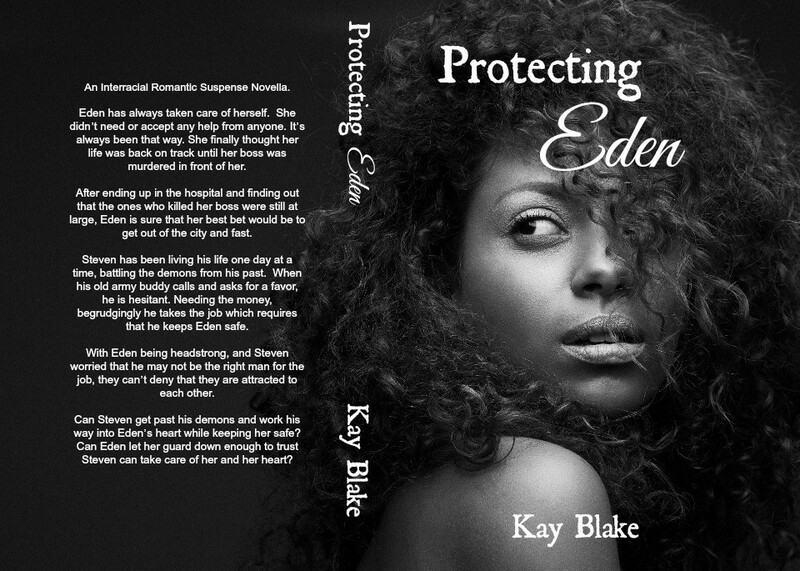 Can Steven get past his demons and work his way into Eden’s heart while keeping her safe? 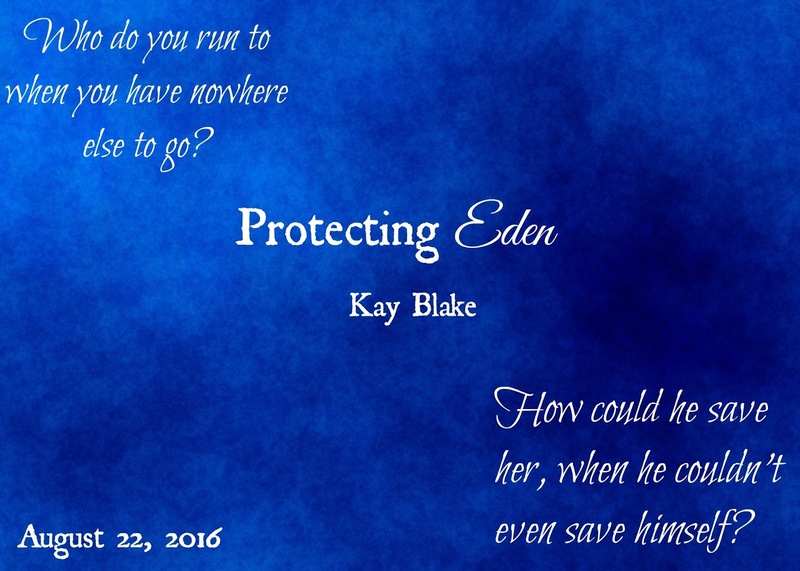 Can Eden let her guard down enough to trust Steven can take care of her and her heart? Kay is a contemporary romance and interracial romance writer. She hopes to one day cross over to the horror genre as well. She is from arguably the greatest city in the world (NYC). Kay’s a mama bear to three cubs and a wife to a loving husband. When she isn’t writing, she is studying for her college courses in Psychology, enjoying a good book, and fangirling over shows like The Walking Dead.